Trust is an age-old concept, and for centuries has been the foundation of all transactions between persons. The world of business, with the advancement of technology, has become a fast paced, ever-shifting arena in which efficiency, speed, and returns are championed. The ways in which we do business are constantly changing, but trust remains the bedrock of business relations. Consider the number of stake holders that are required to provide confirmations, representations, warranties and due diligence during the execution of increasingly regular transactions. Consider also third-party trust-keepers, such as notaries, whose role it is to attribute trust to these transactions. Establishing trust is therefore important, but it is also time consuming, and in many cases is easily corruptible. Blockchain technology finds its application in solving both these issues of efficiency and security in that it provides a shared immutable ledger of information that can be viewed and updated in real time by each respective stakeholder. It is perhaps more popularly known as the underlying technology that supports cryptocurrencies, such as bitcoin and ethereum. However, the potential of blockchain goes far beyond this. Put simply, a blockchain is a technology that stores transaction data in blocks that are linked together to form a chain of transactions. The blockchain will grow according to the number of transactions (blocks) that are logged, with the time and sequence of each block recorded. Each block contains a unique digital identifier that is invariably referenced in the next block in the chain, preventing any one block from being altered or preventing a new block being inserted between two existing blocks. Couple this with the concept of a shared ledger and you arrive at a system that requires a single entry to log data that is accessible to all stakeholders. Data access can also be permissioned (allowing for large amounts of data to be stored, with different levels of access available to different persons), and various means of consensus may be incorporated in order to maximize trust and security. Being able to store and access data in this manner will give stakeholders unprecedented capabilities in terms of the reliability and security of such data. This will allow public and private institutions and organisations tto increase certainty in the information required to make timely and effective decisions and to remove unnecessary barriers or intermediaries between the parties to a transaction that would otherwise restrict the scope and timing of transactions. In principle, the application of blockchain to modern systems of data logging and storage is poised to change the way in which the public and private sector operate on a day-to-day basis. Public authorities can utilize blockchain to effectively record transactions and data ranging from the ownership of property to the identification of citizens, wholly reducing risks of document forgeries, false claims. Institutions such as banks and insurance companies can use blockchain, in the case of the former to increase transaction visibility and more accurately record account balances and in the case of the latter to verify the occurrence of an insurable event, possibly making use of smart contracts to automatically process claims (see below). In other areas of the financial services sector, inter-company confirmations and payments can be streamlined to the extent for example that authorisations required from a number of persons in complex cross-boarded transactions can be made quickly and can be verified in real-time. The healthcare industry will be able to see vast improvements in areas including the management of medical records and coordinating with insurers in settling insurance claims. This revolutionary way in which we are now able to store and access data also brings with it a revolution in the way two or more parties contract with each. Blockchain enables the utilization of the smart contract, an agreement or set of rules that can be stored on the blockchain and govern a specific transaction. In essence, a smart contract is no different than a traditional one in that it is still an agreement between one or more parties that is subject to a number of terms and conditions. The difference with smart contracts is that the provision contained in the contract may be partially or fully self-executing, self-enforcing, or both. In this way, a smart contract is used in the same way as any standard written contract but with the added capability of being able to automatically and immediately enforce the terms of the contract upon the occurrence of events contemplated therein. These events become known to the contract upon the logging of data into the blockchain of which the smart contract forms part. Considering the industries in which blockchain is currently being pioneered – financial services, healthcare, government, and insurance – it becomes clear that smart contracts are capable of taking contract enforcement (think insurance policies and loans) to whole new level of legal certainty and enforceability. The term blockchain is by many used almost synonymously to cryptocurrency. Whilst blockchain and cryptocurrencies (such as bitcoin) are indeed linked, they are not one and the same thing. Taking bitcoin as an example, blockchain is not the technology by which bitcoin is created but rather the system inside which bitcoin may be created and stored. Consider one of the many applications (bitcoin) that may be run in a computer operating system (blockchain), and the distinction becomes clearer. 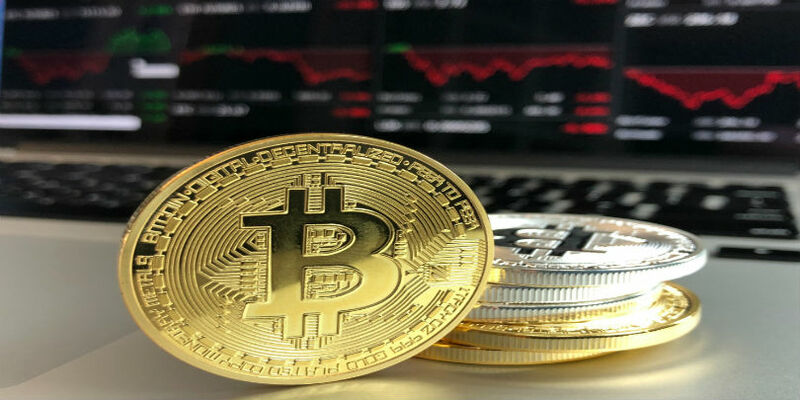 Cryptocurrency in its various forms is utilized as a medium of exchange, different however from the way in which we think of traditional fiat currencies. There is no intrinsic value pegged to an underlying commodity, rather the value of cryptocurrency is attributed to its use and the potential rights and permissions that it might grant to the holder. There is no central authority, such as a central bank, that controls their issue and therefore we speak of a decentralized system of exchange of value. The currency is also not physically printed, but rather mined by people and businesses using software that solves mathematical equations to create the cryptocurrency and cryptocurrency transactions. Coins or tokens may then be transferred and traded between persons via blockchain that can record these transactions permanently and unalterably. This departure from the traditional methods of the creation and control of currency is – for want of a better word – revolutionizing the way in which people can access credit and the exchange of value and utility. The manner in which people make payments to one another and transact in general can be opened up beyond the limits of traditional credit and currency in that persons who may be limited from operating a traditional bank account or currency are enabled by an ever-increasing access to technology that will allow secure global payment methods. In essence, the blockchain revolution changes the present paradigm in that enables the delegation of the trust function in business and day-to-day transactions traditionally delegated to individuals or institutions vested with central authority to a decentralized technology. This technology, which in principle promises to be immediate, unalterable and incorruptible, should be trusted absolutely because it makes up for immutable human weaknesses such as the susceptibility to err, inefficiency, greed and corruption. However, such novelties require time to make into our day-to-day lives just like it did for the Internet in the 90s. The technology (technologies) surrounding cryptocurrencies, blockchain and digital ledger technology has not been perfected yet. Unfortunately, people’s expectation and imagination far outstrip what is technologically possible and economically feasible.